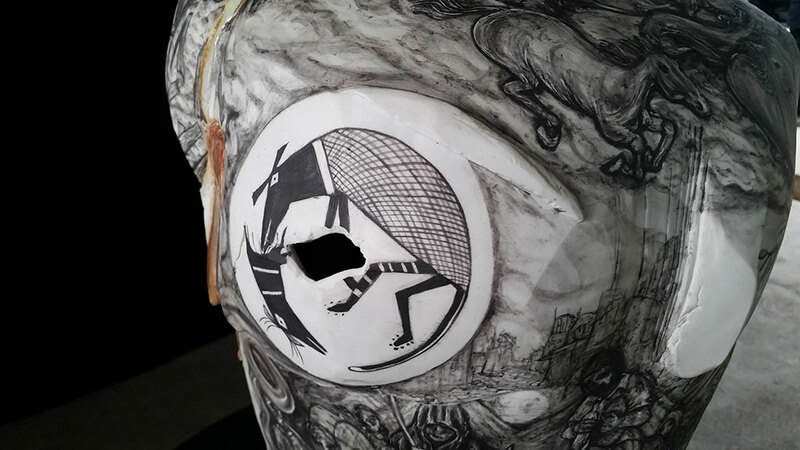 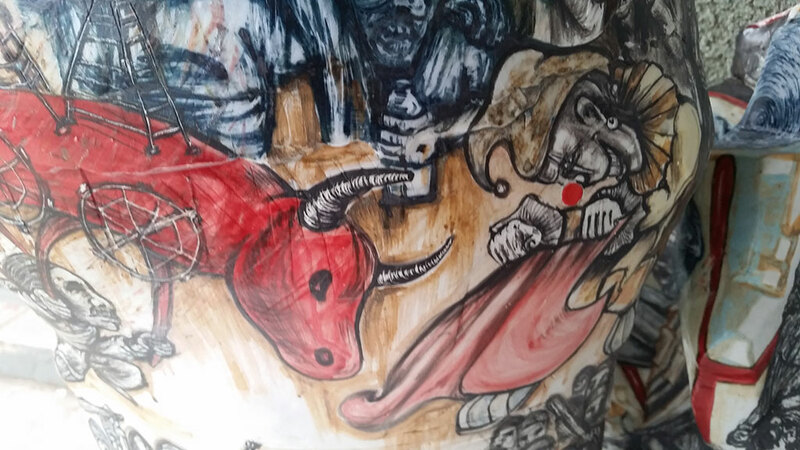 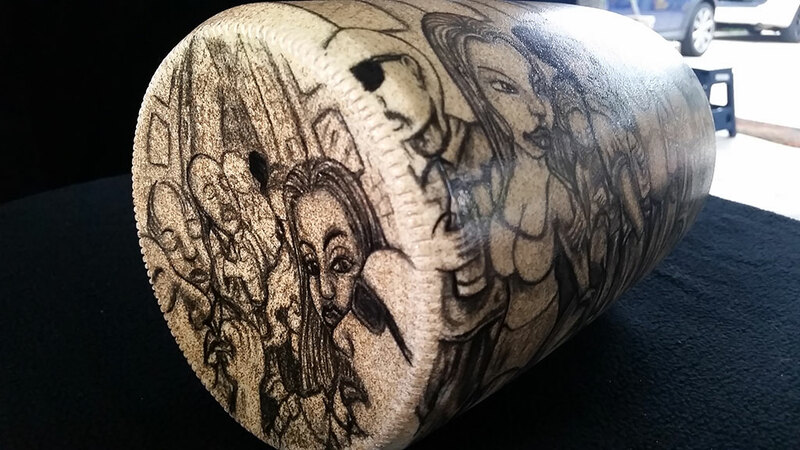 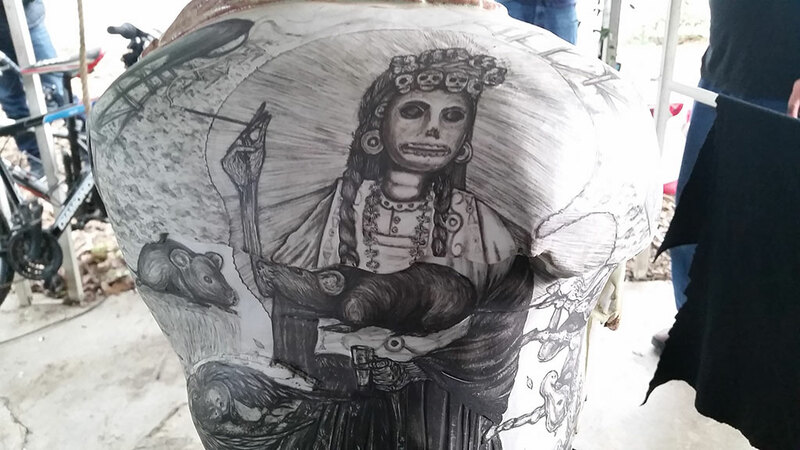 Last month, the Craft in America crew visited Gerardo Monterrubio’s studio in East Los Angeles. 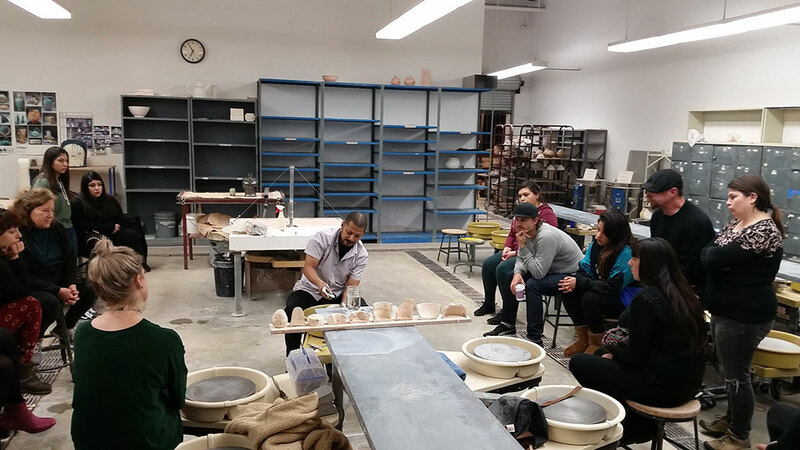 Gerardo found his calling when he found clay and uses that medium for his observations about culture and place. 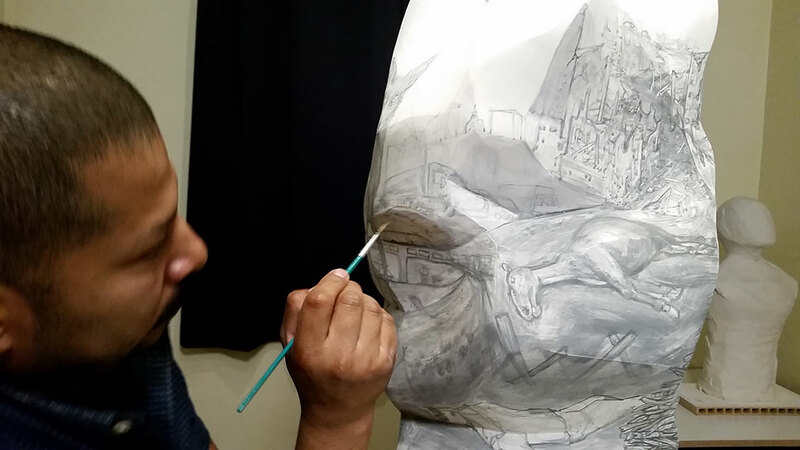 We watched Gerardo create a sculpture with the help of his assistant Anthony Gonzalez. 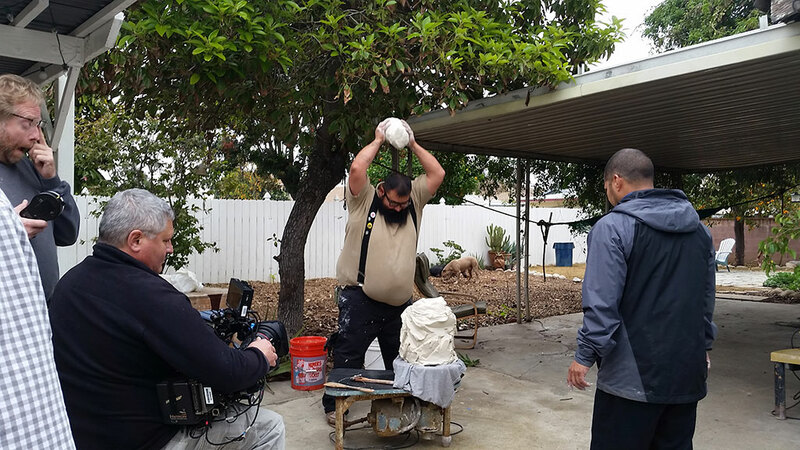 His assistant powerfully stacked pieces of clay while Gerardo shaped the piece into a form he liked. 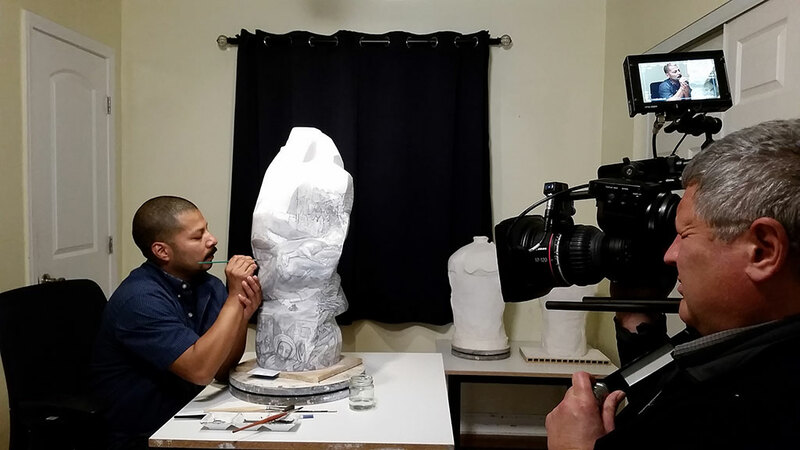 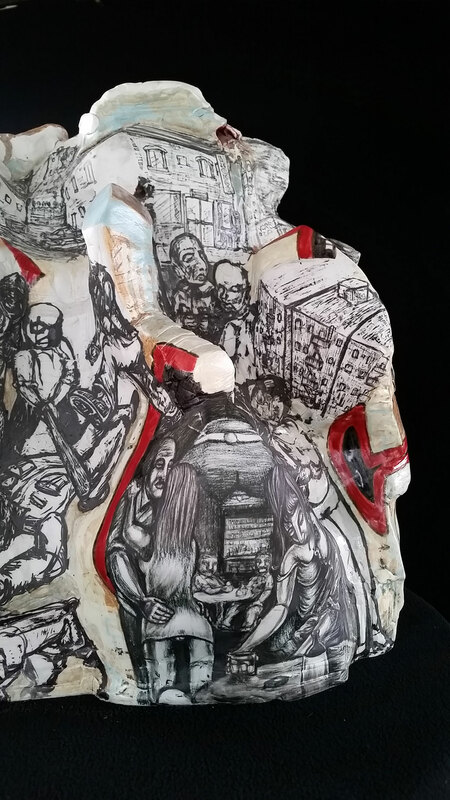 We also filmed Gerardo painting on his ceramic sculptures. 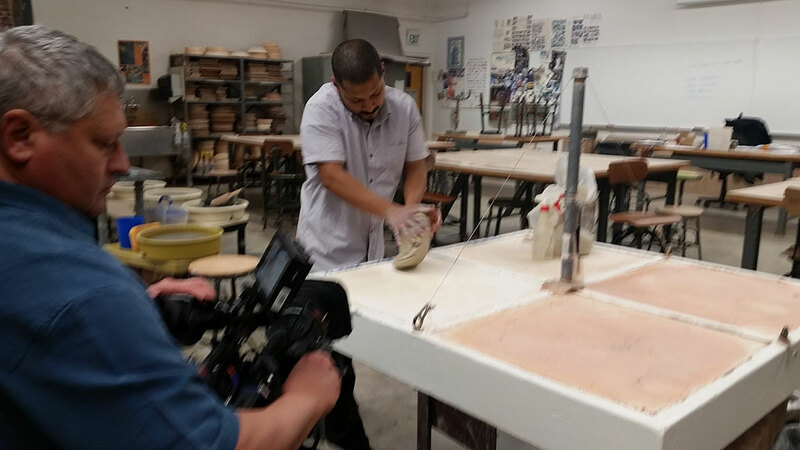 We also filmed with Gerardo at Long Beach City College where he teaches ceramics. 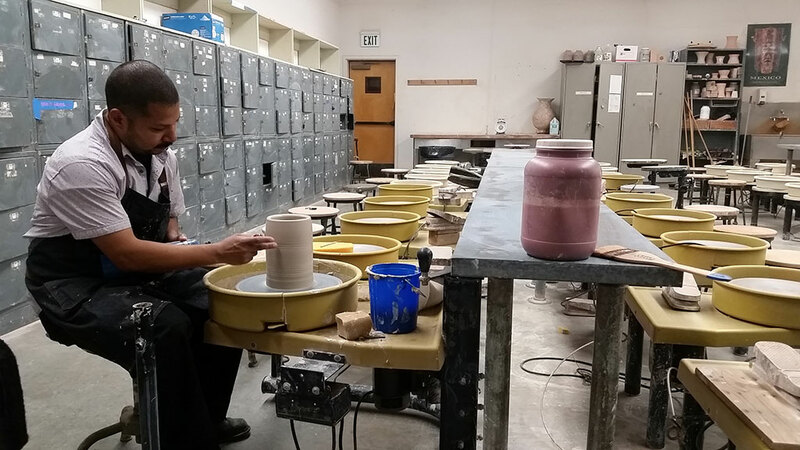 We filmed Gerardo preparing for his first day of class and demonstrating techniques on the wheel.